These Koogeek WiFi-based light bulbs are an excellent way of bringing some much-needed intelligence into your home. 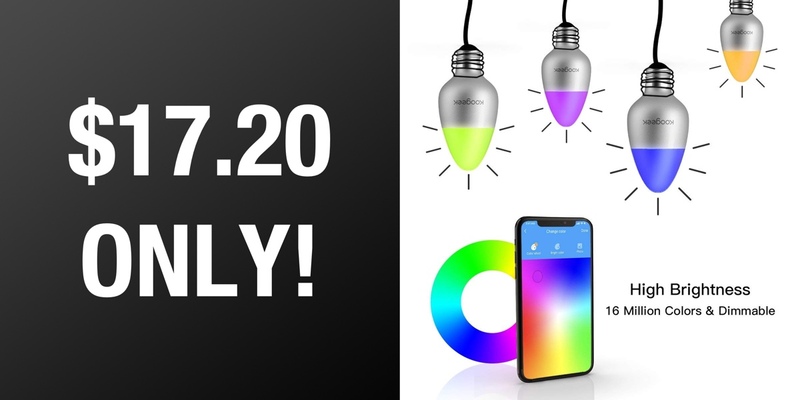 And now, for what is likely to be a limited time offer, you can get the bulb for just $17.20. The home automation and home intelligence market is definitely growing rapidly. More and more companies are getting involved in the action by pulling together hardware that is not only affordable but which immediately gives home-owners some new experiences in their property. 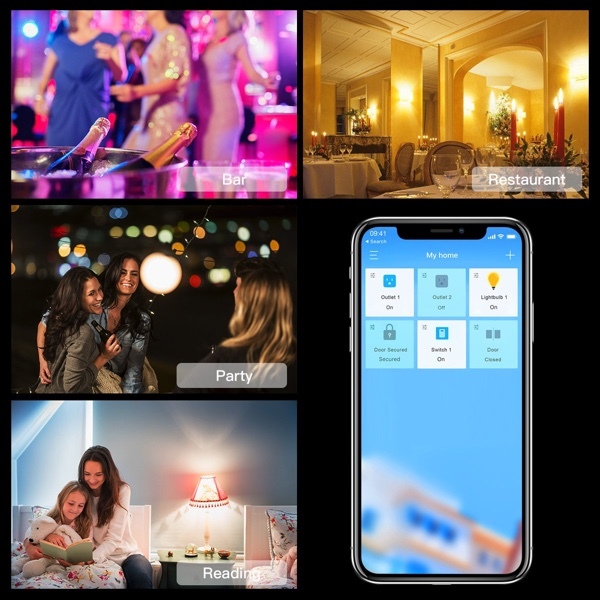 With this Koogeek option, you’re going to get a lightweight and portable bulb that takes up a very small footprint, offers glorious color and connects to the home network to give you total control over when it is activated. One of the big selling points with this bulb is that it doesn’t require any additional hardware. There is no need for an additional bridge or hub that acts as the “intelligence” and connects the hardware to the network. This bulb ships with the capability to do it all without more hardware or more purchases. It’s also one of the few bulbs that don’t require a hub or bridge that is compatible with Amazon Alexa, Google Assistant, and Apple HomeKit. That means you can control it via voice with basically any system that you have in the property. It’s also a color bulb so you wouldn’t be limited to just various shades of white. This bulb is immediately going to give you access to more than 16 million colors that be splashed throughout your home or property. Control it via voice. Control it via a standard switch. Or control it via an Android or iOS device. In fact, you can pretty much interact with this hardware for anything you choose and set custom scenes through the app to ensure that you can have your home splashed in color as and when you see fit. The code listed below gives you an immediate 57% discount which is definitely not to be missed so make sure that you act right now in order to lock in the maximum discount and get the best possible deal.